If your pet suffers from arthritis or any kind of pain, laser therapy can help ease their discomfort. 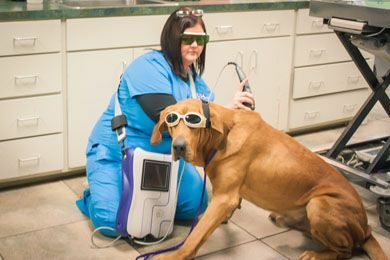 Betty Baugh's Animal Clinic uses Class IV laser therapy, a phototherapeutic device that uses a beam of light to stimulate the body to heal itself from within. With laser therapy, your pet can receive fast treatment and pain relief without drugs or invasive procedures.